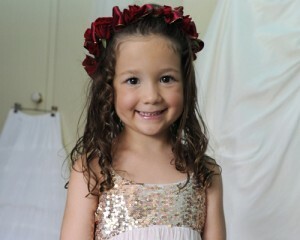 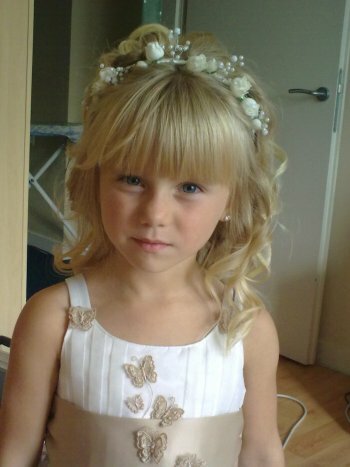 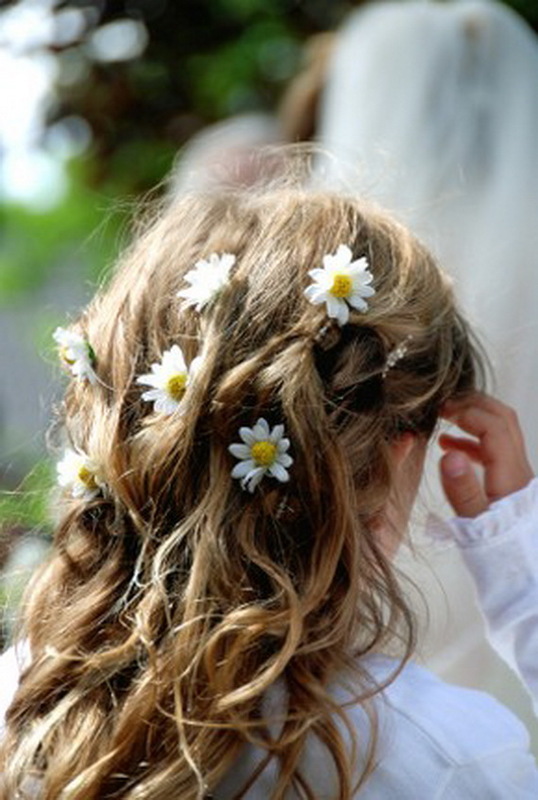 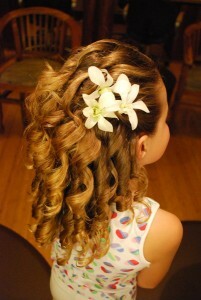 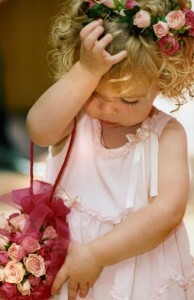 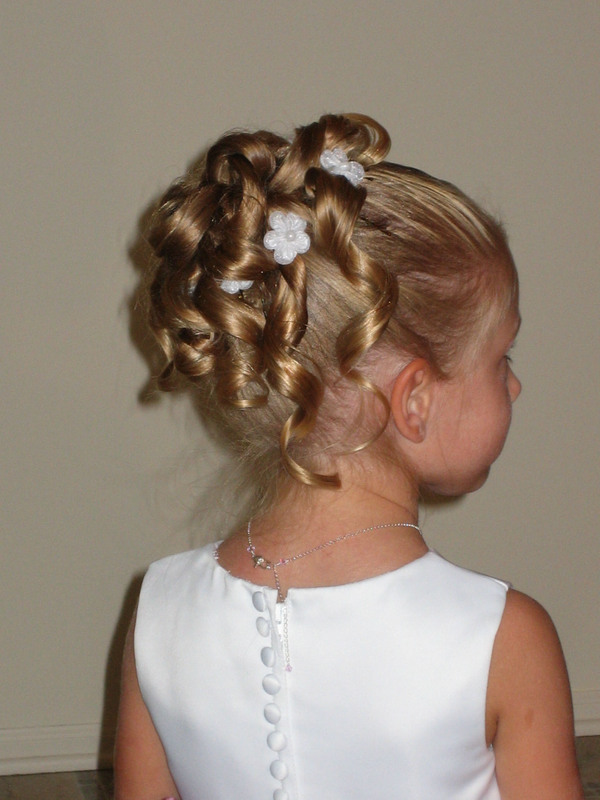 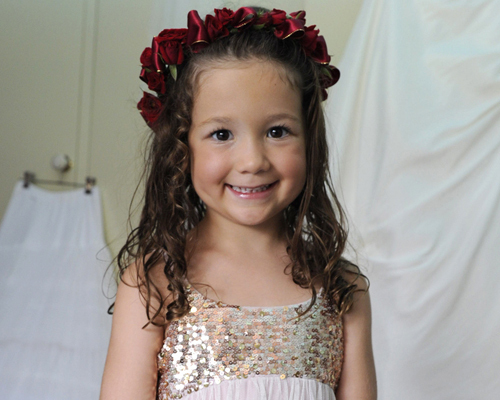 Flower girls always look angelic and cute with creative and unique hairstyles. 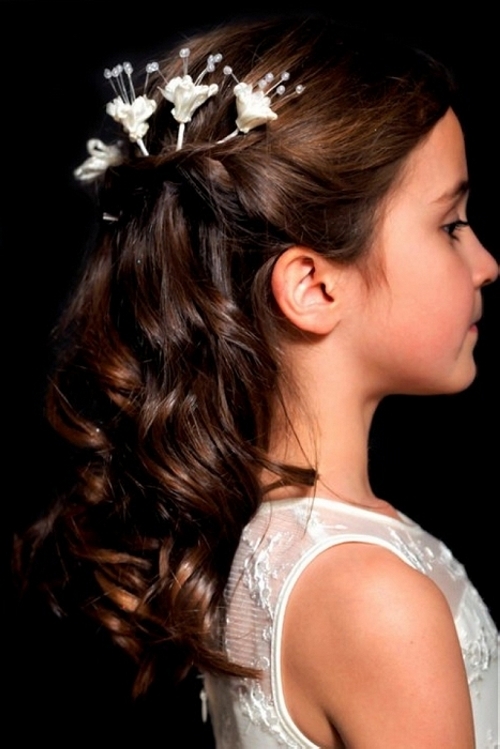 There is no shortage of pretty hairstyles for the little flower girls with ballerina buns – an updo style that lasts throughout the day – being an adorable choice them. 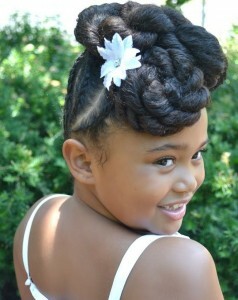 Even little bow, braids and curls look great on them. 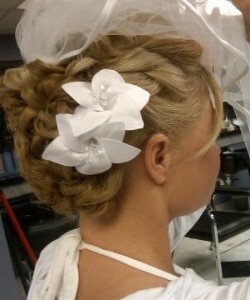 Add floral headpieces or create a halo with butterflies, but it is important to match the wedding theme. 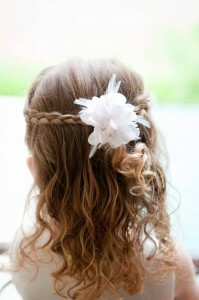 If it is a black and white theme wedding, then a formal hairdo with a black or white headband would be downright.